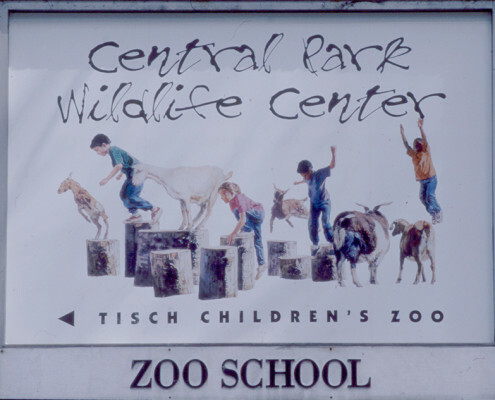 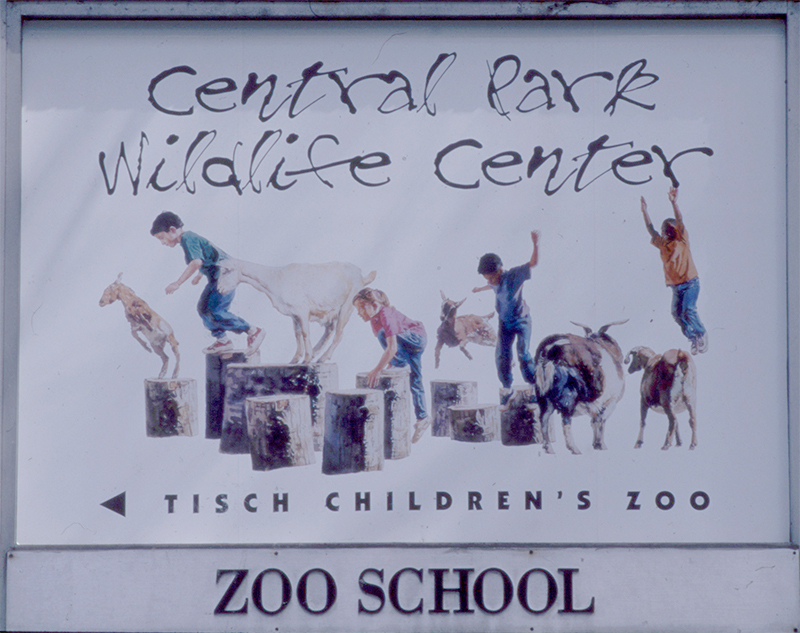 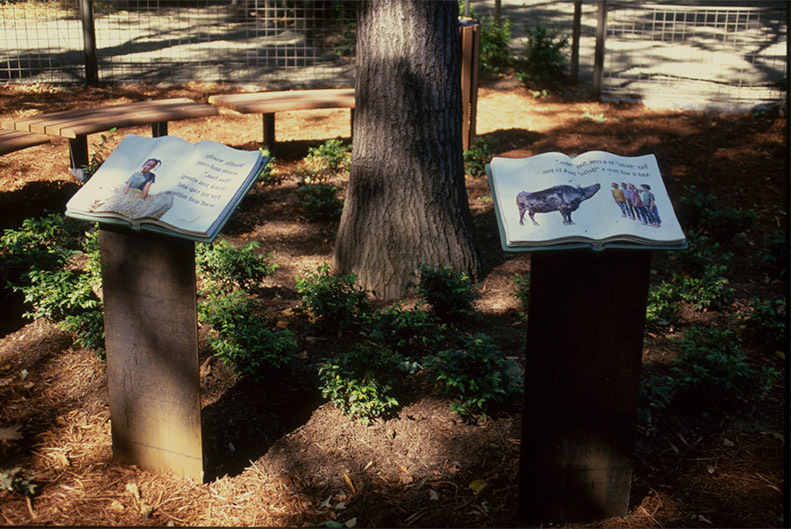 Home to potbellied pigs, sheep, goats, with plenty of opportunities for young visitors to crawl, jump, climb, and pretend to be animals. 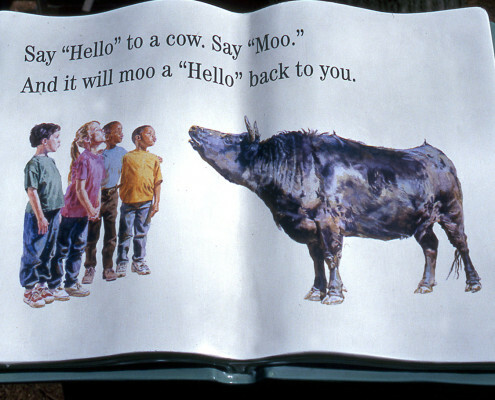 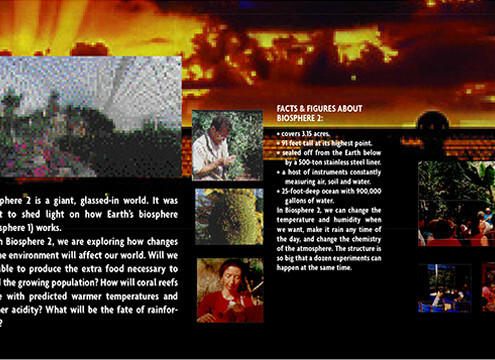 The challenge was to develop a system that children and adults could understand and enjoy. 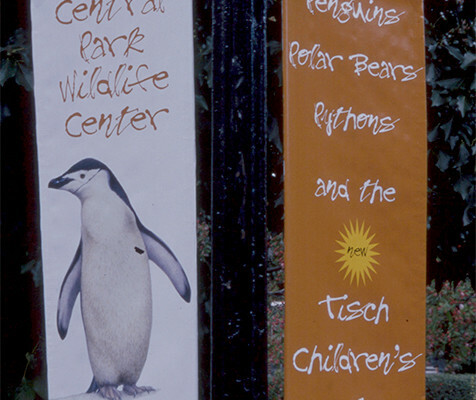 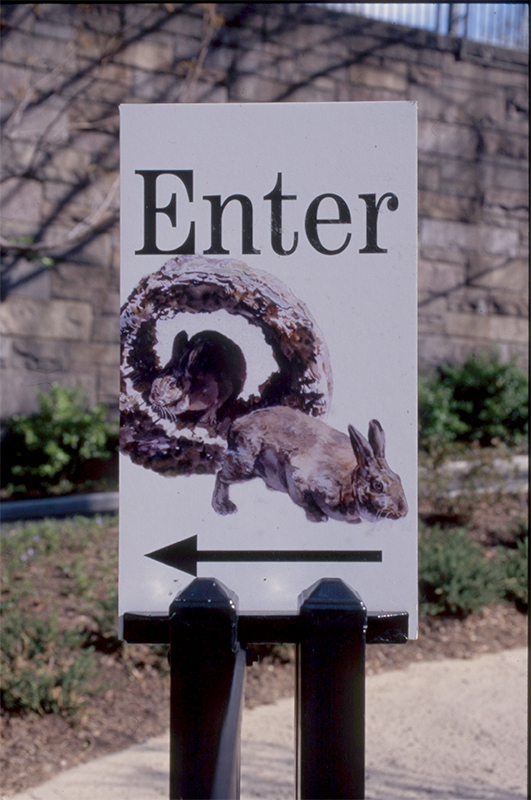 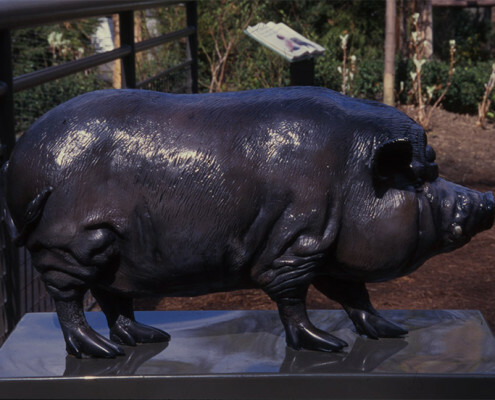 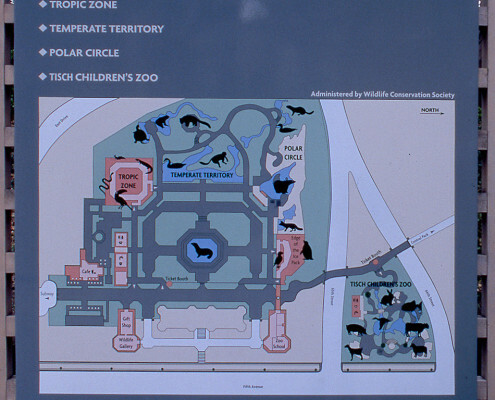 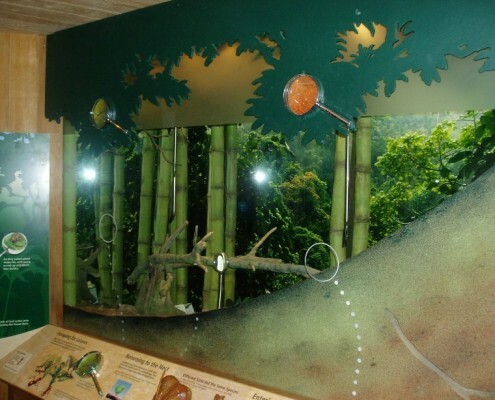 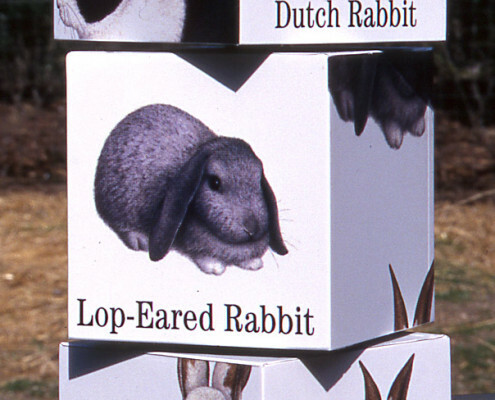 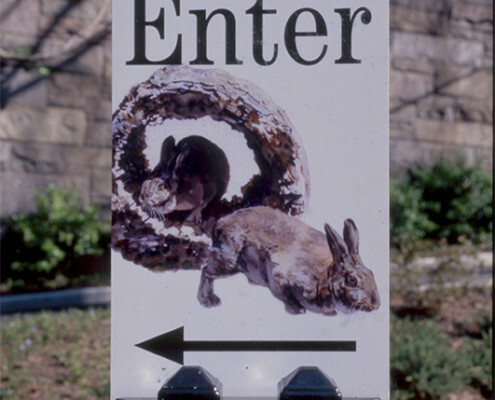  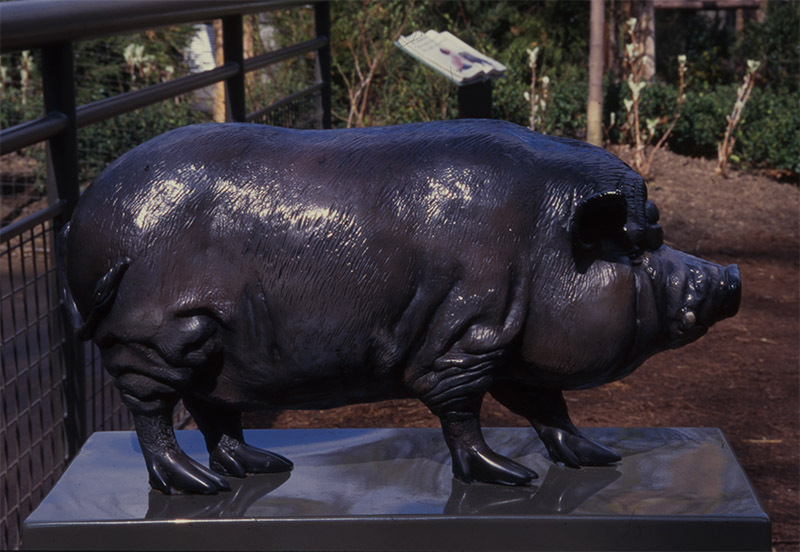 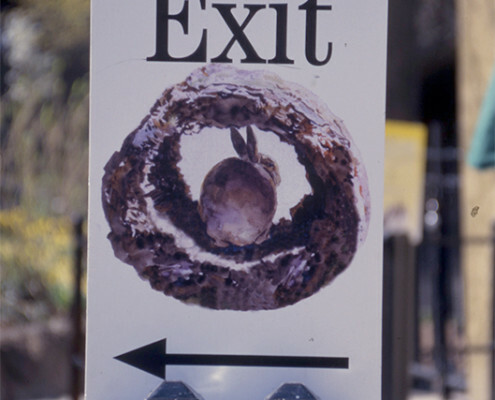 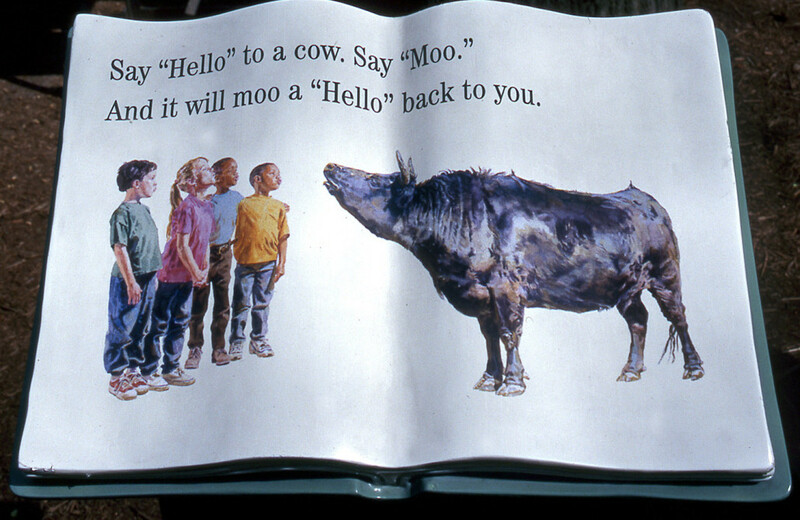 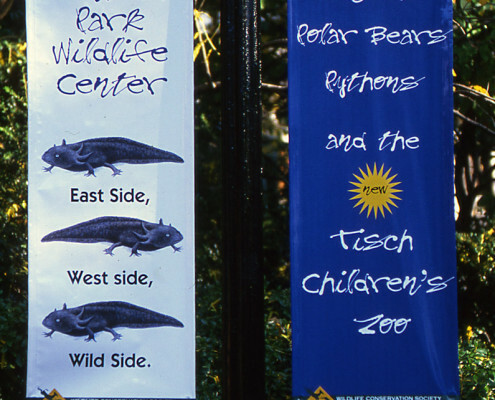 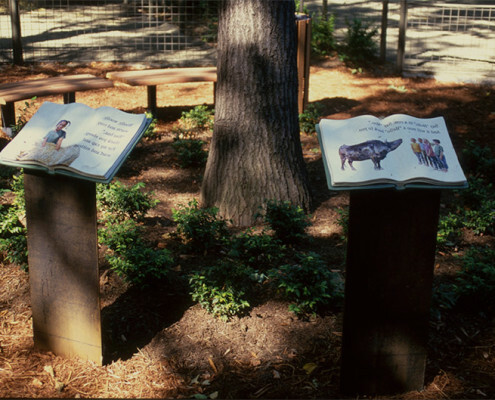 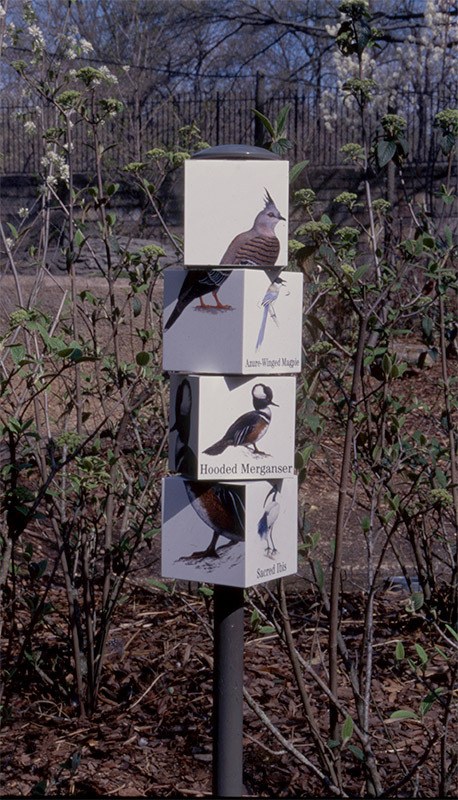 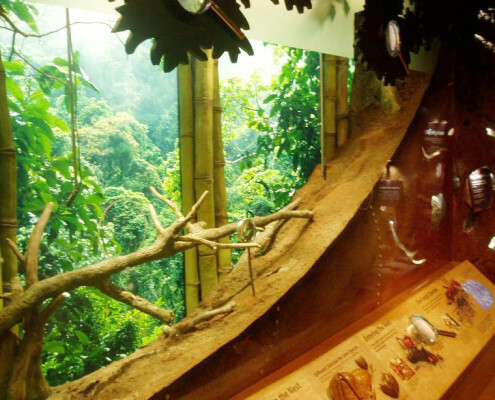 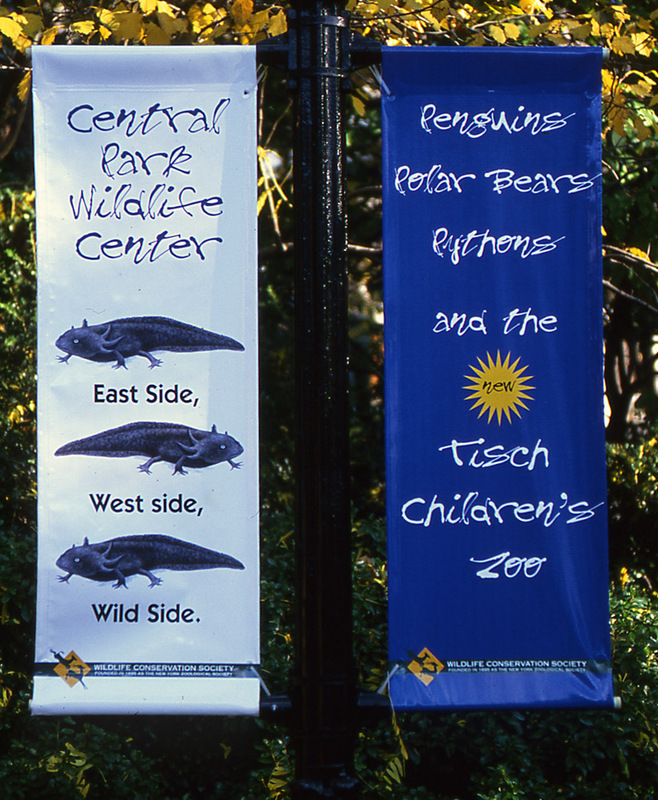 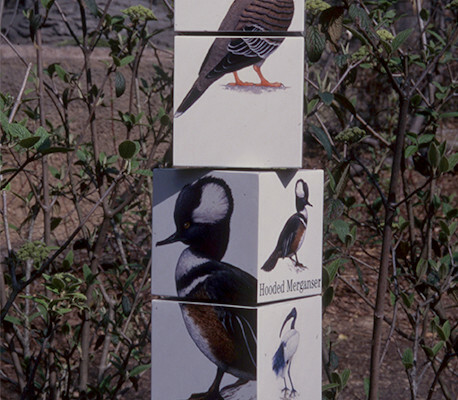 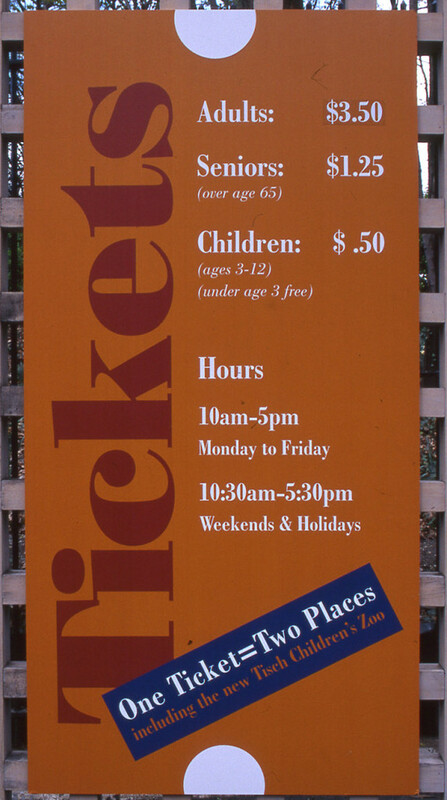 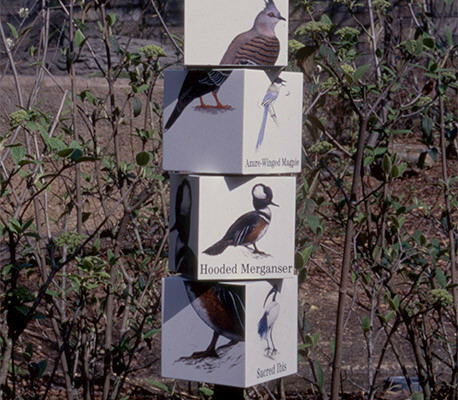 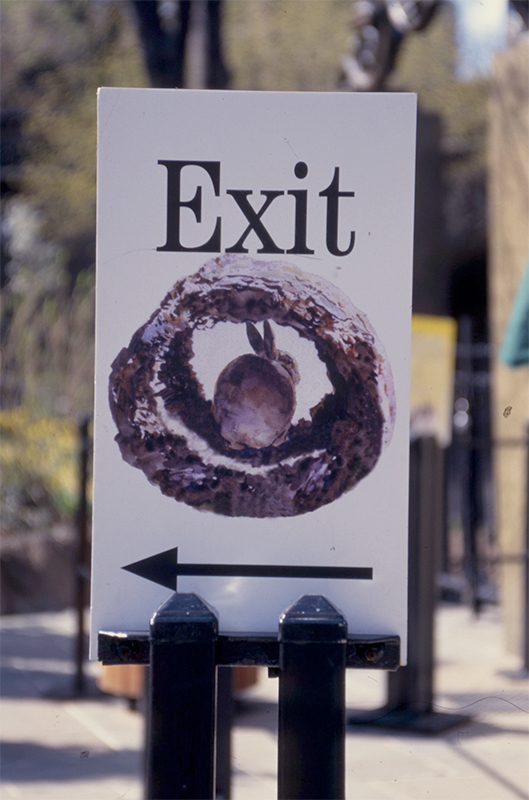 Banners, wayfinding signage, building graphics, rotating id poles, a 3D storybook at each exhibit, interactive animal statues that replicated sounds, porcelain enamel maps and stainless steel signs at the zoo’s entrance. 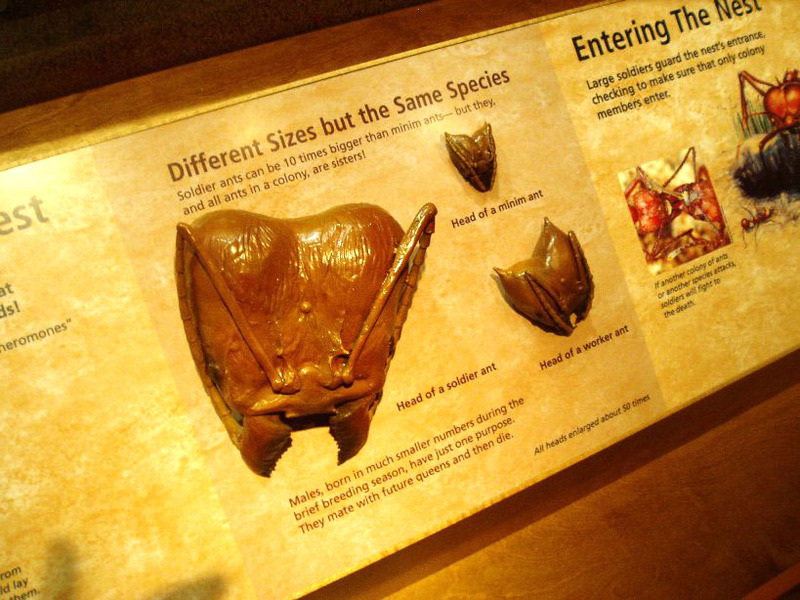 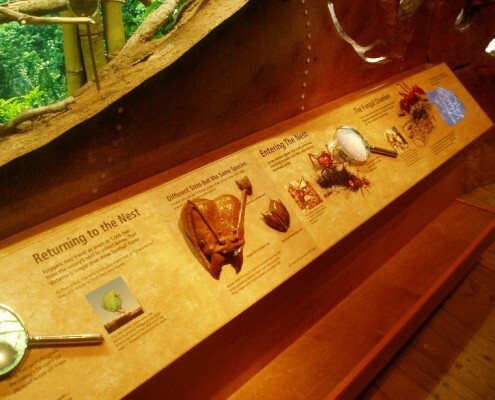 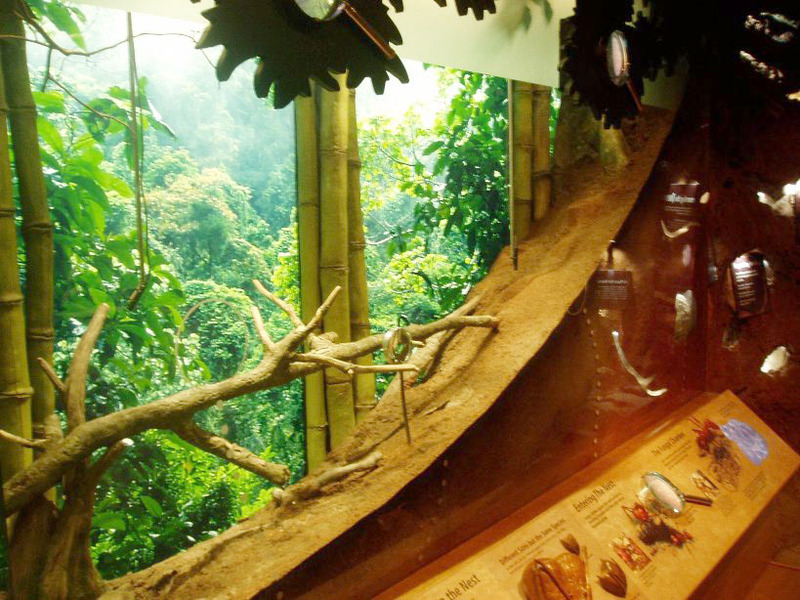 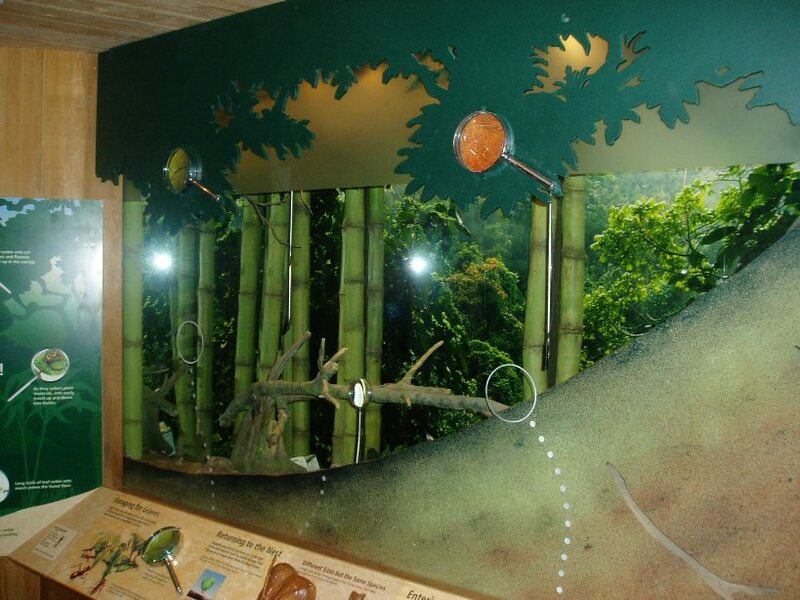 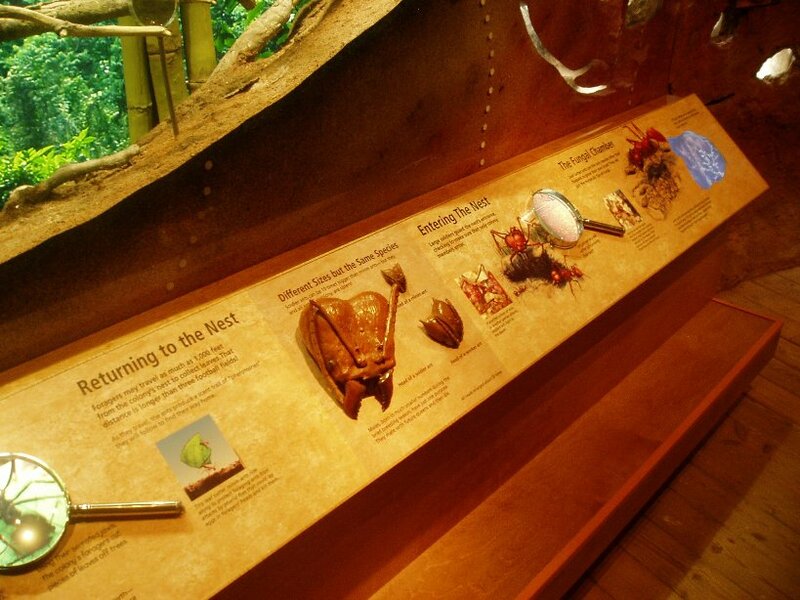 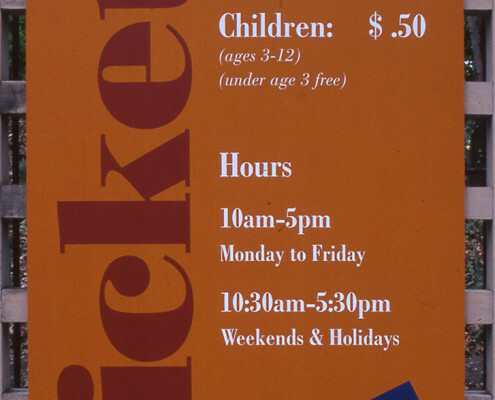 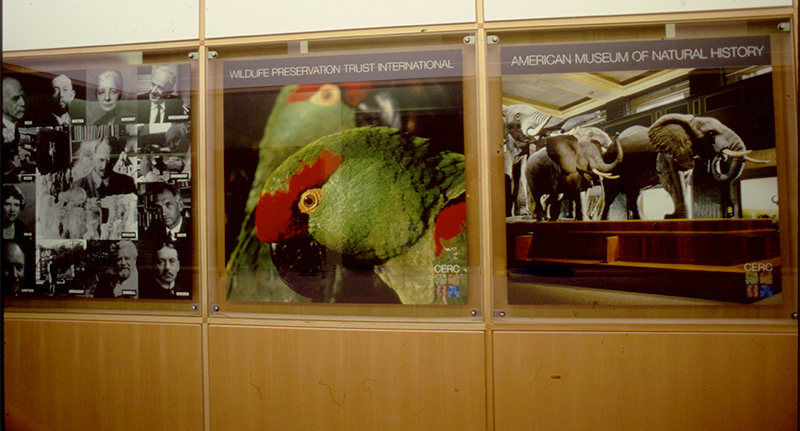 Developed a fresh look for an exhibit overhaul that integrated with the existing system of graphics. 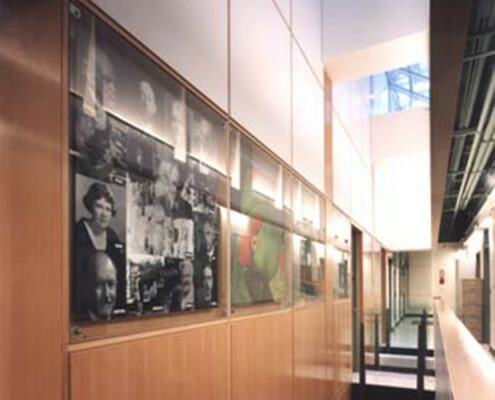 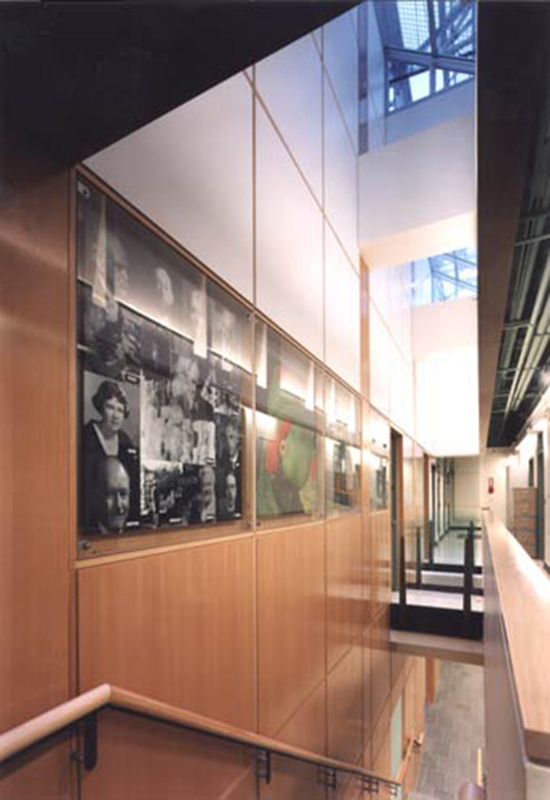 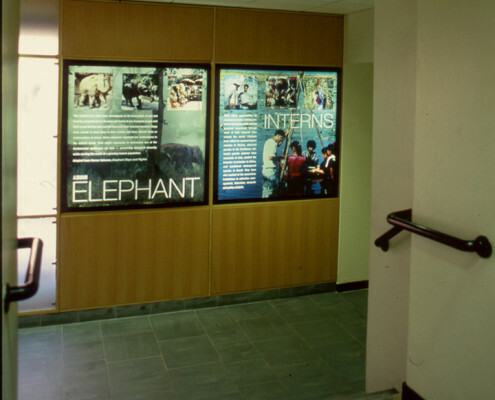 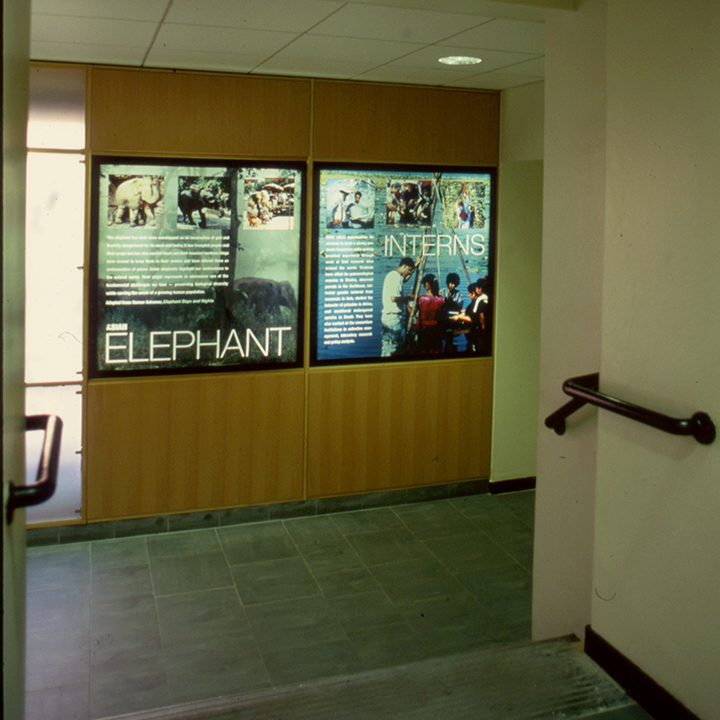 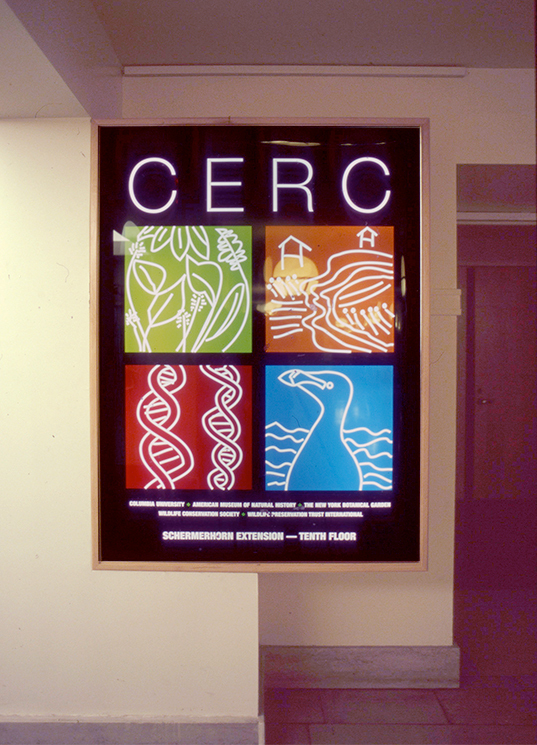 The challenge was to create signage that would lead visitors from the lobby to the tenth floor offices, in a busy academic setting. 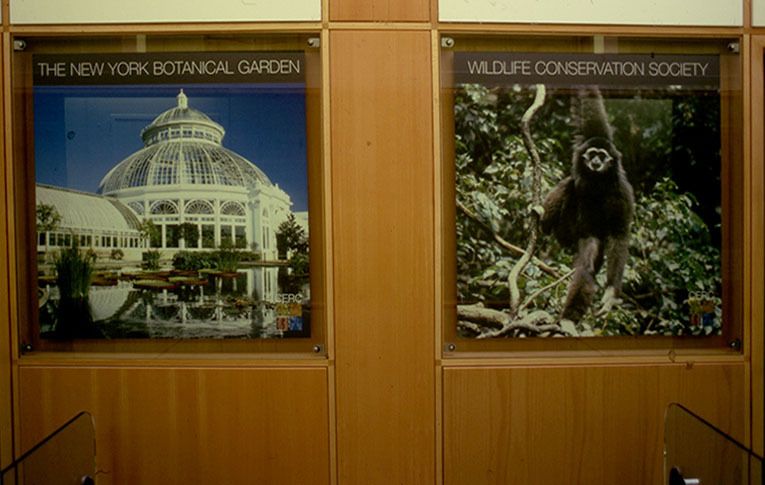 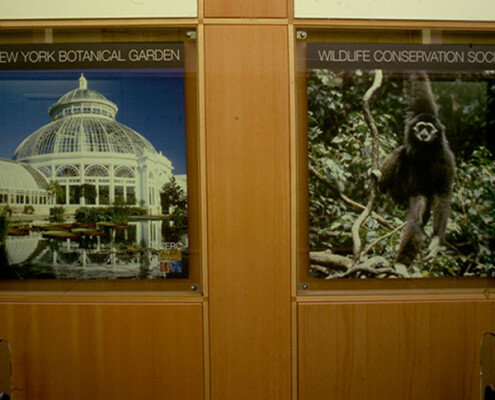 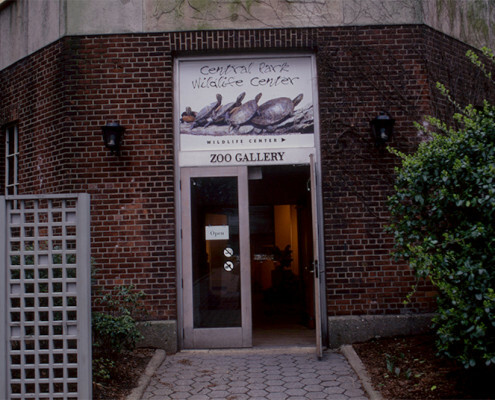 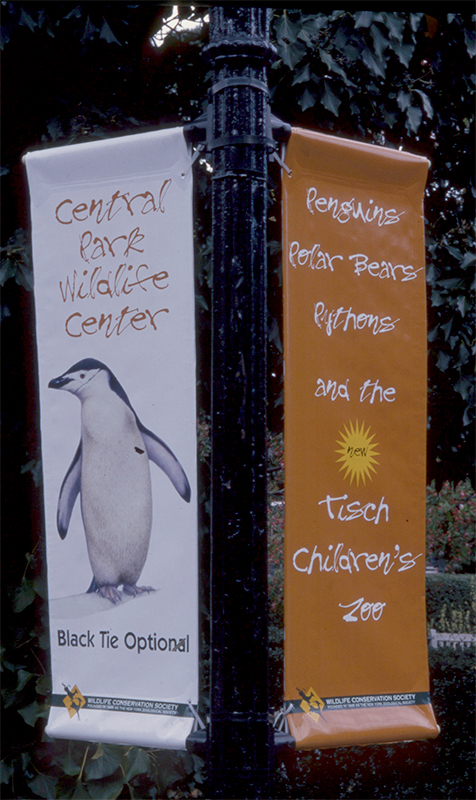 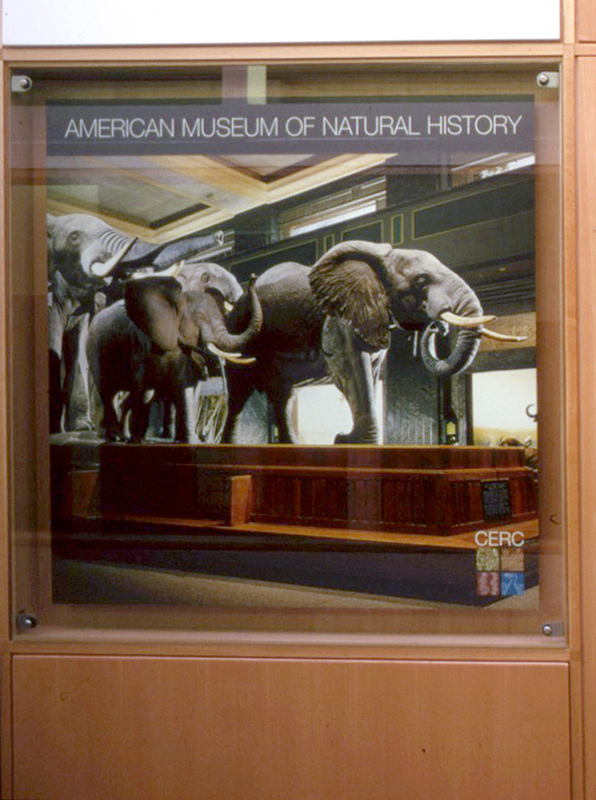 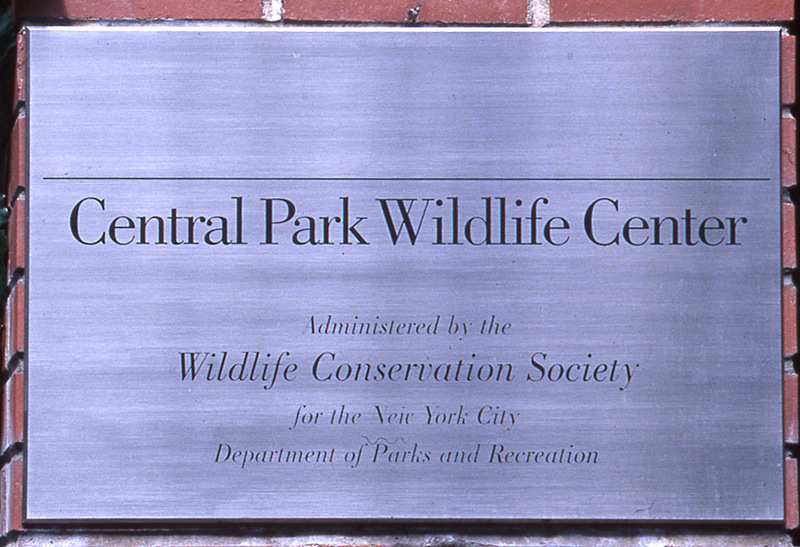 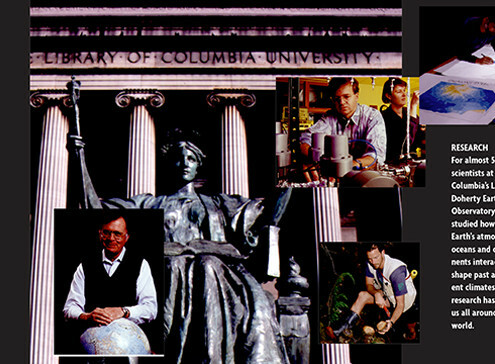 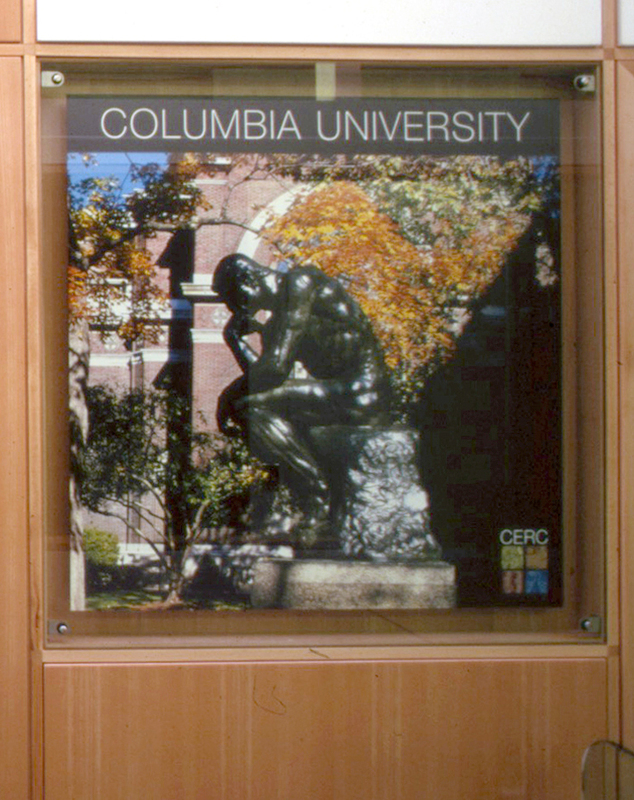 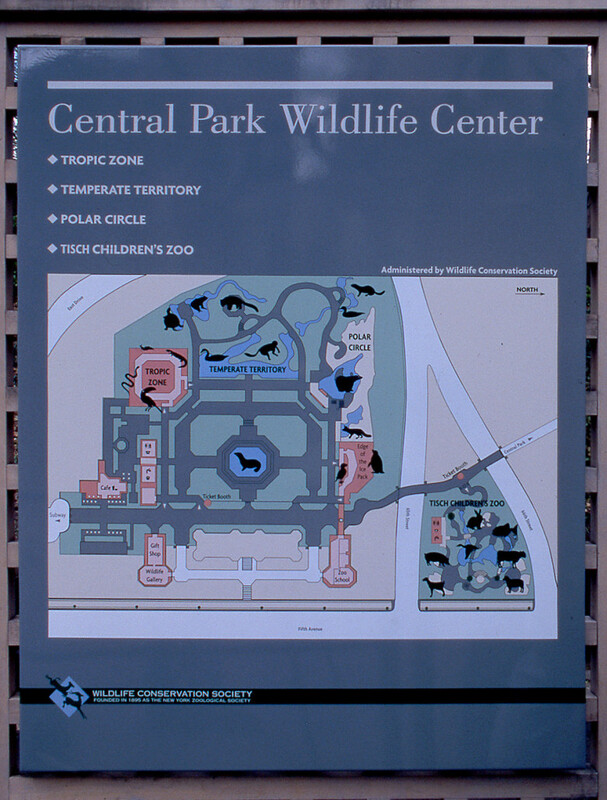 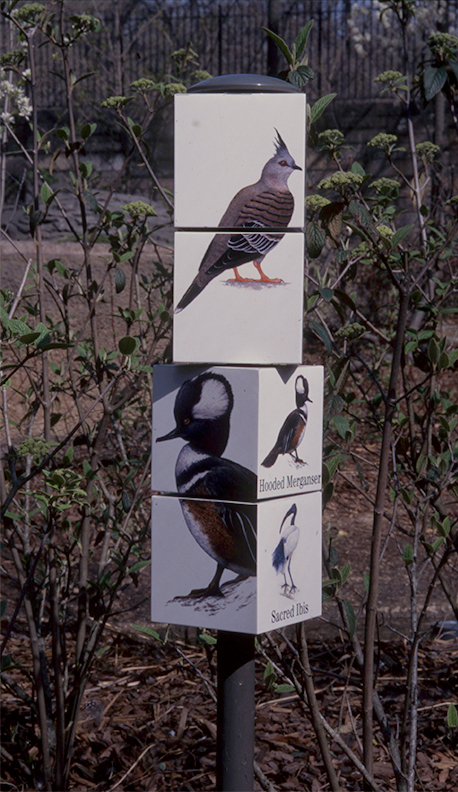 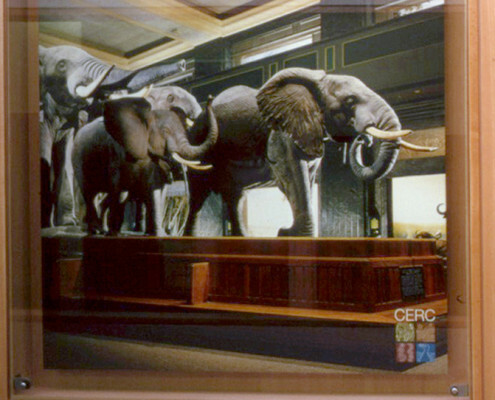 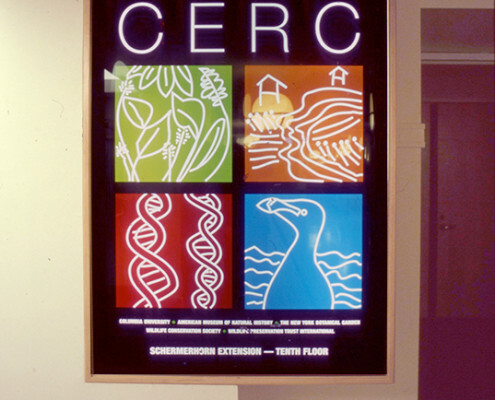 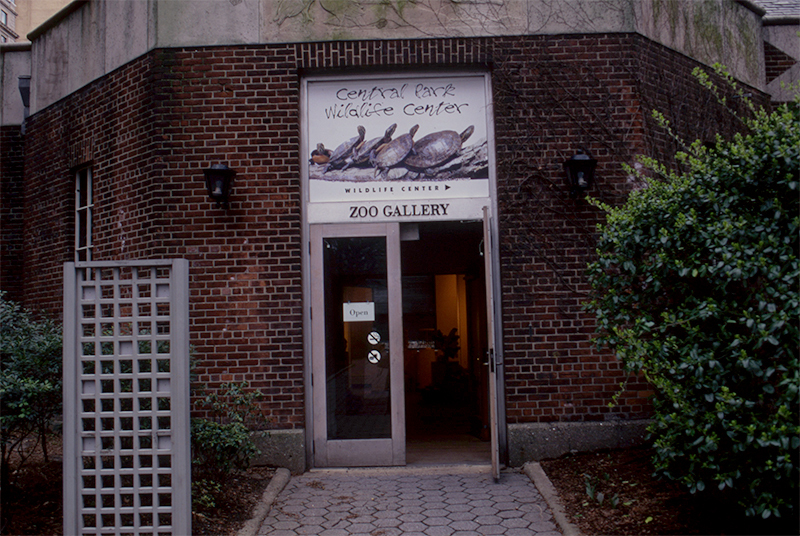 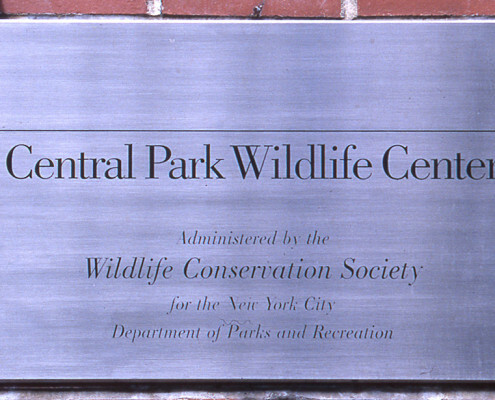 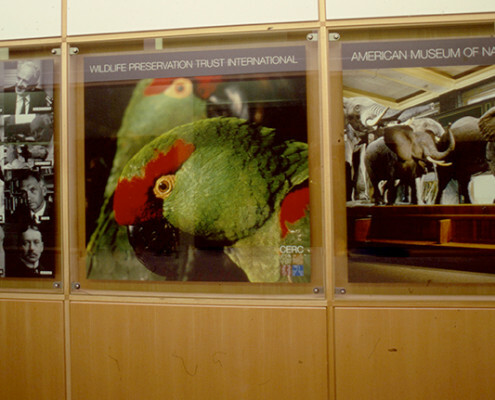 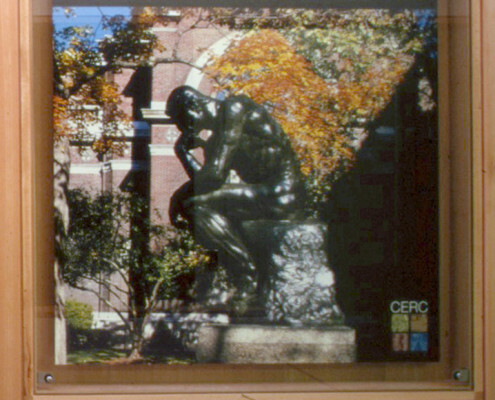 The solution was to use strong photographs that represented the 5 institutions that made up the consortium, including Columbia University, the American Museum of Natural History, The New York Botanical Garden, Wildlife Conservation Society, and Wildlife Trust. 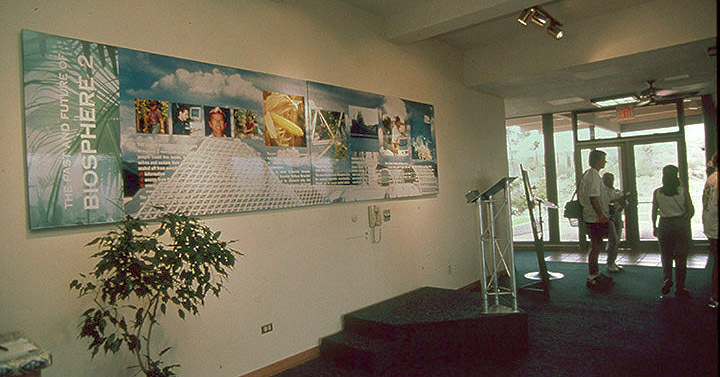 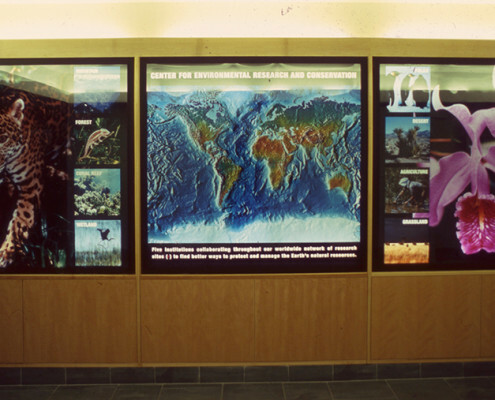 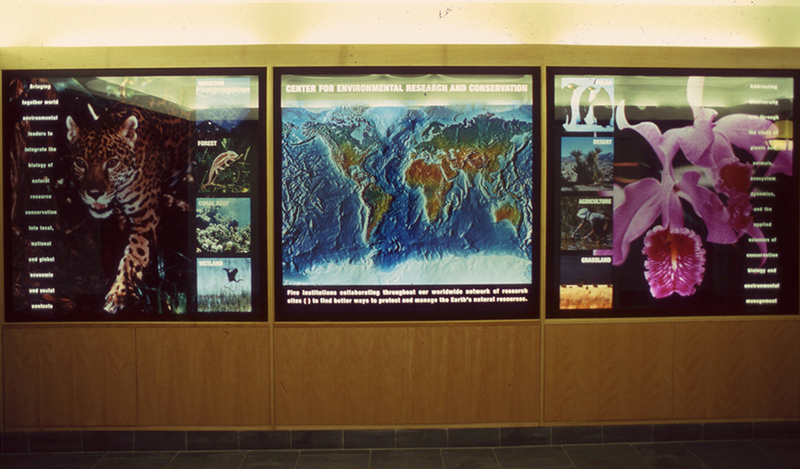 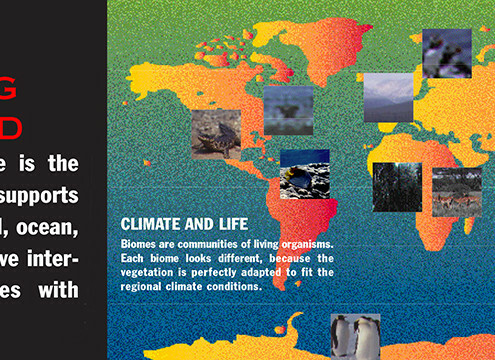 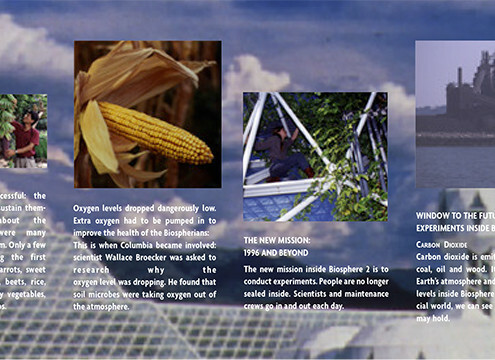 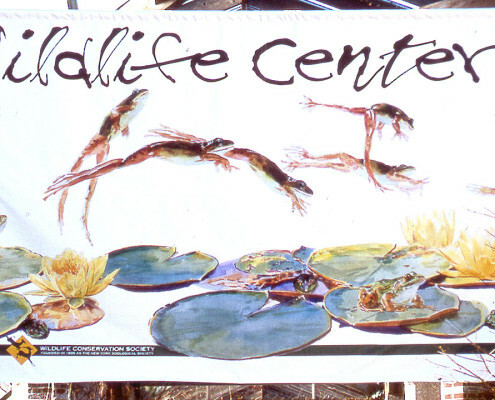 A series of posters explaining Columbia University’s mission at the Biosphere 2 Visitor Center in Oracle, Arizona.